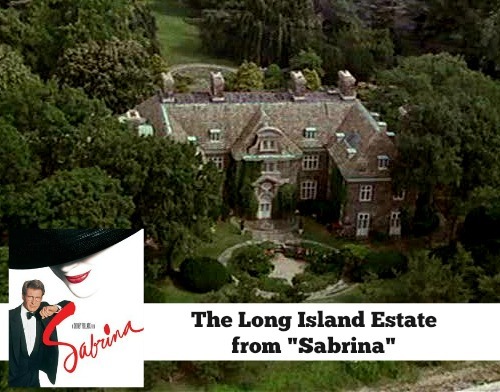 The Long Island Estate in the 1995 Romantic Comedy "Sabrina"
The 1995 romantic comedy Sabrina was filmed at a house known as Salutations, a Long Island mansion built in the 1920s. It was a remake of the 1950s classic with Julia Ormond in Audrey Hepburn’s role and Harrison Ford in Humphrey Bogart’s. As the story goes, Sabrina lives over the garage on the Larrabee estate with her father, who is the family chauffeur. (Their stone cottage is charming, too, as you’ll see.) She’s got a crush on David Larrabee, the younger son, but he doesn’t seem to know she exists. After Sabrina returns from an internship at Paris Vogue–now grown up, gorgeous, and glam–she finally turns his head. But David’s older brother Linus (Ford) is determined to keep them apart. Salutations was designed by architect Roger H. Bullard in the Georgian Colonial style, for Junius Spencer Morgan III, who was the son of JP Morgan Jr. You can see an old black and white aerial photo of it on Gold Coast Mansions. Have you watched Sabrina lately? Do you prefer the original or the remake? I would choose the home on Martha’s Vineyard. The view is beautiful. I love that big white kitchen and the solarium! I haven’t seen this movie in the longest time but if I remember correctly, it’s one that hubby liked when we saw it. Full of eye candy, indeed – Harrison Ford! This is one remake which I think is even better than the original. The estate is gorgeous. Thanks for posting all the lovely stills. I loved both Sabrinas. I often think of Audrey Hepburn when I’m cracking eggs. Remember the scene where she had to crack eggs over and over one-handed at the Parisian cooking school? In spite of that inspiration, I still use two hands when cracking open eggs and prying open the shell. Quel dommage! Robyn’s last blog post..It’s Pink Saturday! Love this movie and the house is somewhere I would love to visit – but it’s so large it feels cold to me. I almost prefer the cottage instead! Kristen @ More Than Mulberries’s last blog post..Where Are My Manners? We adored this movie and watched the VIDEO over and over. 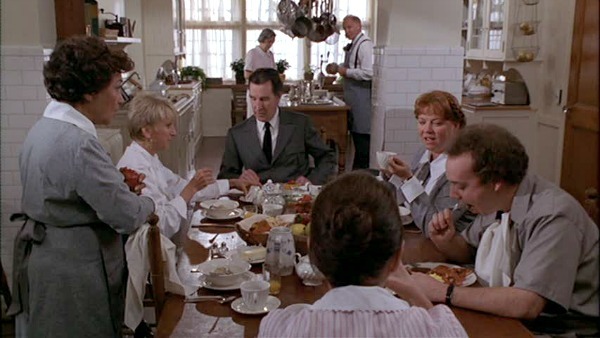 I too loved the solarium and the beautiful kitchen and amusing conversations which took place among the staff. The mansion is beautiful. To think you would have to have a tree surgeon on retainer:-) We ate lots of pop corn watching this fun movie! Thanks for showing this. Devita’s last blog post..What Is a Miracle? I adore this movie! Thank you for sharing the stunning photographs, they are so inspiring. I just came across your site ~ perfectly lovely. Such lovely pictures and a giveaway too. What more can I ask? Thank you. I loved all the pictures. Sabrina…a favorite! Both the old – with Audrey Hepburn…and the new! Happy movie! Deborah’s last blog post..Enter With Me! 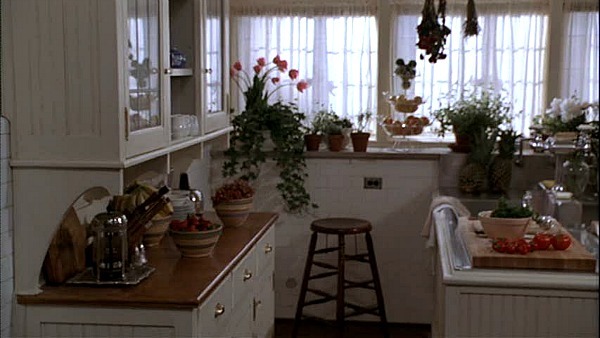 I’ve never seen either version but I’d die to cook in that kitchen. I love the glass cabinet doors. Wow. This is a fairy tale for sure! I’ve never seen this movie but you’ve got me “hooked” now! I love the photo of the nurse! Could be me! I had to wear a uniform like this while I was in nursing school! SOOO glad I don’t now! 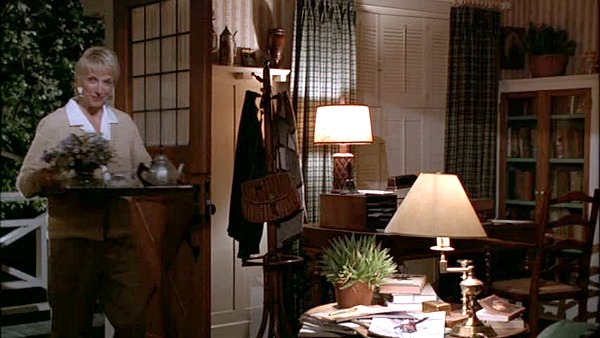 I really likes the shots of Sabrina’s room too. The princess phone, typewriter and wing chair – take me back! Great post. Can’t wait to see the movie! Always wanted to live above the garage! Beautiful home. You are a favorite on Technorati and I follow you on Twitter. Please enter me. I love Sabrina’s short hair. I wish that I could pull off hair like that! LOVE love love this movie – the actors, the houses – total eye candy!! 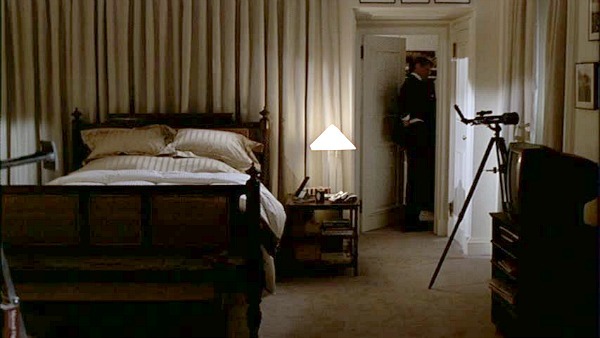 Love this movie…Harrison Ford and that house! Oh my! You’re also in my feed reader! Hope I win! Oh, how to choose! I think I would have to go for the gusto–I can’t get over that staircase and the fab kitchen. Yummy! This post makes me want to watch the movie again…great post! Don’t you just love the older movies?? What ever happened to art? The newer movies leave a lot to be desired. Please enter me – I love Amazon.com and would love the cert. I would definitely want to live in Martha’s Vineyard house. 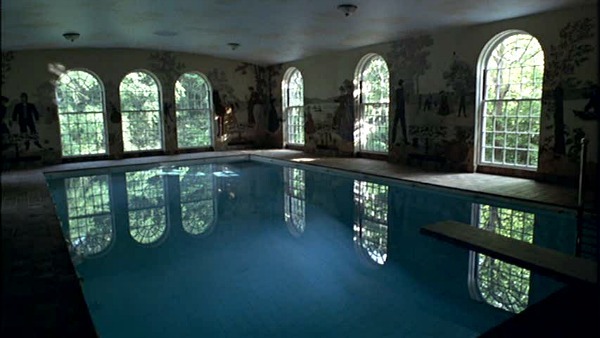 But I’d want to transport the indoor AND outdoor pools from Long Island, along with the reflecting pool. That would be fab. Love this post and great giveaway!! You’re already on my blogroll! Love the cars in the garage, and I want to slide along the hall floor. And added to my blogroll. Whew! Julia, count me in for the giveaway! I already do all your extras, except for stumbling. Happy Monday! I *love* this movie, it’s one of my all time faves. I think I’d pick the Martha’s Vineyard cottage because it’s right on the ocean and is just the right size. I haven’t seen the original with Audrey Hepburn but I’ve been meaning to for a while since I just love her. I would choose the vacation home on Martha’s Vineyard…charming and the view is worth a million bucks! I love your Movie Mondays! They have been so much fun and you have picked great movies. I just rented Sabrina over the weekend but I haven’t had time to watch it yet. I had completely forgotten about the beach house until your post! I’m glad you picked Sabrina for this week now I really want to watch it after work. I love the Martha’s Vineyard house. So adorable! Please count me in for the giveaway. Enter me, I love this flick!! One of my favorite movies! I have to admit I am partial to the original with Audrey Hepburn though. I recently came across your blog through Rhoda @ Southern Hospitality and love it! I have actually just started being a ‘serious blogger’ and do a Movie Monday special as well – but I feature restaurants and meals from movies! Again, love your blog & I will definitely add you to my following! I’d love to win the original Sabrina. This is one of my fave movies and I don’t have a DVD copy of either. Oh that’s one of my favs (and I actually like the remake more than the original)! I love the original Sabrina. The remake was just okay. Thanks for the giveaway. Gorgeous! I love that kitchen. Who lives like this? Amazing, huh? Wanda’s last blog post..Giveaway Time! Absolutely love the remake. The original is good to, but the remake… Dreamy. It would surely be a dream to live in any of these beautiful homes! I haven’t seen this movie in years, amazing estate. I need to see this movie again! I have seen the movie once and would love to see it again. Sabrina is on of my favorite movies! If I had to choose, I would take the stone cottage…….hmmmm, or maybe the home on Martha’s Vineyard! AnnieH’s last blog post..Please Pray…. I love Sabrina! What great pics, I’d love to go there! I’ve only seen the more recent Sabrina. I’ll have to check out the other one. I’ve never seen the newer version but I have watched the older one. that house is amazing. I would love to win the amazon gift cert. wow! you are right – she looks a LOT like ugly betty! I LOVED that movie, too! What great pics. Thanks for sharing. We love Sabrina in our house! Both of them!! I love this movie! So romantic. I love the house on Martha’s Vineyard. I always say there is no way I could ever be in a bad mood if I lived directly on water. Sabrina is favorite movie! Living in the cottage on Martha’s Vineyard would be lovely! Great movie…even better house! I have to say I prefer the Martha’s Vineyard cottage the best! 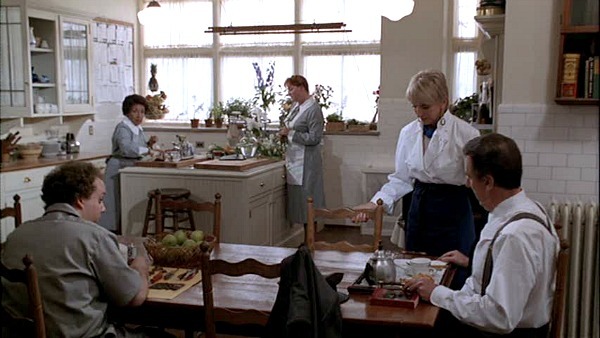 i saw both versions of this film and loved both lol that kitchen!!!!! I love Sabrina and just watched it a few days ago! And I am already your friend on Hooked on Houses (Michaelle). You are on my blogroll! Or you were until I redid my template. But everything is going back up today, so no worries! That house is absolutely gorgeous… I bet there are a lot of fun nooks and crannies to be found too! Gorgeous home! But I would feel so overwhelmed by a home of this size. I would rather live in the cottage. Lovely pictures, I love the indoor pool! Gotta be a great show, havent seen either! I love Sabrina.. both the old and new one.. haven’t seen them in years! a great movie that i haven’t seen in a while…thanks for the giveaway! How fun!! I loved that movie, but haven’t seen it in forever. I should watch the original again too! I would choose this movie! I’ve never seen it, and it looks fascinating! Thanks! I finally subscribed after procrastinating!! I love your blog. Please enter me! I would love an amazon gift card. I love both versions of Sabrina and I love that house. I haven’t seen the new version of Sabrina- beautiful home!!! What a great movie… as is anything Audrey huh?!? Thanks for sharing! Thanks for the chance! Beautiful house!! I sent a friends request! SHeila H.
Great movie and great pictures from it! Lanie’s last blog post..Quote of the Week and a correction. I forgot what a great movie this was. Sabrina (either version) is one of my absolute favorite movies. Thank you for this post! Love it. These houses make my little attic apartment look so dingy… Sigh.. Someday! Thanks for the giveaway! OMG gorgeous photos! I love Audrey Hepburn, she’s one of my favorites, great movie! Many thanks to you! Oh how I wish I had an indoor pool like that. I would love to win this movie! I just love that movies! Both of them! What a cool blog– I had never been here before today! I thought I was the only who watched movies for home ideas! Renee Garcia’s last blog post..Bloggy Carnival Giveaway!!!!! oh my gosh! Congrats on so many comments for this giveaway. I need to see the film for sure now! you’re on my RSS for sure!! I’ve seen the original Hepburn movie, but not the newest one. I’d love to win. 🙂 Thank you for offering this giveaway! Ooo, I love Harrison Ford in anything! 😉 Thanks for the giveaway! now technorati. I’ve got you everywhere. I’m an official stalker! Oh…such a fun movie. Those houses…drool! Thanks for such a fab blog! I’ve never seen the original version of this movie, although I did enjoy the remake with Harrison Ford – thanks for the chance! All I can say is “You are amazing!” Everything you put up on the world wide web is interesting and fascinating. Now I have to watch this movie. You are one of the best things that has happened to me on Twitter. I feel like I’ve discovered a treasure. WOW too much house for me though but if I had a staff then it would be OK. I just LOVE your blog. Thanks for filling my addiction to houses! I’m now longing to see Sabrina again so would love to a winner! Keep up the great work. Please count me in, thanks! I would like the Amazon gc! I would love to win this! thank you for the awesome giveaway!! Great movie — one of my favs! I have watched Sabrina a million times, I love it. The homes are all beautiful in the movie…some people have it all (even if they are just characters in a movie.) thanks for the chance! Wow, I haven’t thought about that movie in a long time. I have the original with Audrey Hepburn, but have never seen the remake. Love all of the stills, I would choose Harrison Ford haha! I forgot how much I love this movie~making a note to rent it this weekend and watch the houses a bit closer. It would be even better to have in my permanent collection! Thanks, Julia! I love both versions of this film! Elizabeth’s last blog post..Blue Giveaway! Who dosen’t have an indoor pool and outdoor pool ?? Added you to my Technorati favs. Wow, now that’s what I call a house! The pools alone amaze me. Britt’s last blog post..Friday’s “Simple Find”!! I love this movie so much. I have it on video but not DVD. The house is amazing. I was watching t.v. the other day and they were talking about Brad and Angalina moving to the North Shore of Long Island and I thought of Sabrina right away. My favorite room would have to be the kitchen. thanks ! hope i win 🙂 amazing houses !! Please enter me. It was one of the better movie remakes I have seen. I LOVE that movie, it is one of my favorites! This is one of my favorite movies, thank you for offering the gift. I love the vacation home at Martha’s Vineyard and the view looks fantastic! What a great kitchen! Enter me, please. Cool photos of the houses!! Thanks for the chance to win! Both versions are great, but you have to love Harrison Ford! I have only seen the remake and I loved it! Elizabeth M.’s last blog post..Country Bob’s All Purpose Sauce – Review and Giveaway! I love Sabrina! That house certainly is beautiful! hey this is awesome i love the kitchen I’m having so much fun making friends and blog-hopping again this year. Thanks so much for doing this movie! I love it. I forgot about the cottage on the vineyard, so it was nice to see pictures of that, too. I actually have the original at home right now from Netflix. I’ll probably watch it tonight or tomorrow. Anyway, enter me in the giveaway! Thanks so much! I would love that estate…that is a great movie…I agree with the other comments that the remake is better than the original – Harrison Ford deserves a better name than Linus though…I want that reflecting pond! Oh my goodness, I LOVE that house. That kitchen is my dream kitchen! I LOVE this movie. Thanks for the giveaway! I have the Audrey Hepburn version but I love the Harrison Ford version, too. Thanks. I would choose the Martha’s Vineyard house! We did this as a play when I was in high school… such fun memories! Thank you for a wonderful giveaway! I love how you give us a choice. I’m off to check out your Jane Eyre post … oooooh!!! I would love the Harrison Ford version. I wouldn’t even mind being the maid as long as I got to live in one of those mansions. What a fun giveaway! You are awesome! I alreagy own and LOVE this movie! Its so romantic! I would love the gift certificate though!!! I cant believe I didnt know there was another earlier version! Ah… to live like that! But hardly anyone does, right? I would get lost in that house! PLEASE ENTER ME. GREAT POST. I’d love to win! Do I get the house too? Wow. Gorgeous woodwork. I love to look at homes but then suddenly the home I was so proud of looks crappy. I also love Sabrina but I already own on DVD so I’d like the Amazon gift card if I wer to win. You’ve been in my blogroll for quite awhile! I really like both versions of Sabrina. Hey, if there’s a blog out there giving away the house, somebody point me in the right direction! Following you on twitter (kmg365). Wow! Talk about lifestyles of the rich and famous! I love that indoor swimming pool. Love that movie and the house! I think I have seen that movie over 30 times….it was on TV the other night and my husband was Ohhhhh…nooooooooing it from the other room. Isn’t it grand? I love the gardens at the Larrabee Estate. I never saw Sabrina – the 1995 version or the original, but I’ve heard great things. Thanks for the giveaway! meg’s last blog post..$30 Giveaway from Good For the Kids. I love both the original version and the updated version. I would love that movie. Great giveaway, enter me, too! Thank you for the chance to win an amazon gift card so I can buy some True lemon. It is a powdered dry lemon, so i can add it to restaurant water instead of wondering who’s hands touched my lemon before it went into my glass of water. Wouldn’t it be awesome to have a home like this. I once visited Hearst Castle and thought how awesome it would be live in a home like that. Sweet! I haven’t seen this movie in years. The cottage is so charming…I would live there, although the vacation house wouldn’t be too terrible either! I do love the kitchen in the estate house though. Wonderful giveaway. Thanks. bren j.’s last blog post..What? Again? One of my all-time fav movies, once again! I would definitely choose the cottage on Martha’s Vineyard. It’s so quaint and cozy. When I was a teenager, though, I would have chosen the mansion. I have never seen that movie! I would love to see it! I would love to have that beautiful reflecting pond! I think I’d take the Estate – course I’d probably never leave! Looks hilarious! Can’t wait to watch it. What a house!! Gorgeous pics!!! I’d love to win a GC! I loved both versions of Sabrina! 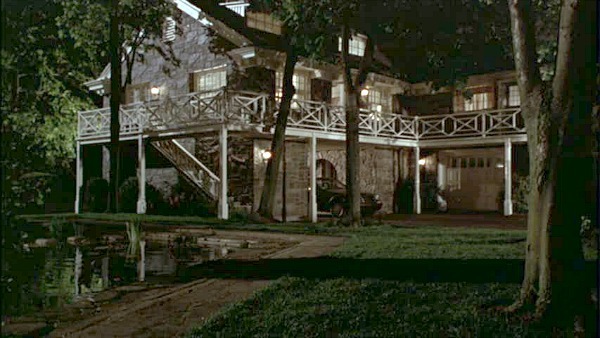 The house in the newer version of the movie is fabulous beyond words! I can’t even imagine living like that. I’m not sure if I would like this movie but I would love to pick out one on Amazon. Thanks for the contest. I would love to live in a house like that. What a beautiful house…the pool is incredible..wow! I already have this movie, but would love to pick another one out..thanks! I love that movie. I’m a Harrison Ford fan. I love the charming vacation home on Martha’s Vineyard! I so love it that I put that picture in a posting on my blog, linking back here to this posting. i loved that story …..Oh how I would love to be a Sabrina right now…..So romantic with Valentines and all!! amy’s last blog post.."FIFI FLOWERS" YA DID ME PROUD!!!!! I like the most recent Sabrina – haven’t see the older one though. Thanks! SO love the house and grounds … and I adore the kitchen. I love houses like this and I love Harrison Ford! 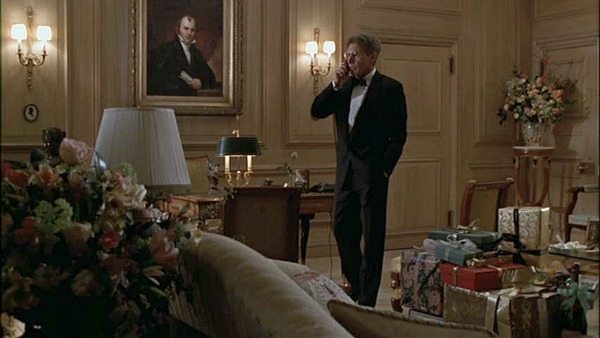 I especially enjoyed looking at the decor of the Long Island estate. The wood staircase, the mail hall and the cosy-llooking kitchen are some favorites. I wish I had that kitchen 🙂 I’ve only seen the original with Audrey Hepburn but now I want to see the newer one. Thanks for the great post and giveaway! I dream of staying in a place like that someday -would love to drool while watching the movie. Pretty Pictures! Thanks for your giveaway! Thanks for the giveaway! I’ve never heard of that movie, so I think I’d choose the certificate. Thanks for sharing the great photos. I really like that movie. would love amazon equivalent — thank you. Sabrina is such a great movie…both versions! Kim’s last blog post..It’s A Wrap. I can see myself and my family enjoying living in this wonder house. I love this movie (both old and new version). Never seen the movie, but it looks good. I would choose the Amazon GC, great movie though! Love Audrey Hepburn! Thanks for the opportunity! Harrison Ford is gorgeous…the home is too but wouldn’t want to pay the utilities. Oh how I long for an indoor pool right now! That house is gorgeous, thanks! I love this movie and would love to own it! Sharla’s last blog post..My favorite things awesome giveaway! I love that movie! I’ve watched my copy dozens of times! fabulous giveaway – i’d love to win! Valerie M’s last blog post..My Bloggy Carnival Giveaway – $10 Denny’s Gift Card !!!! I have never seen Sabrina. Wonderful giveaway! Thanks for the chance to win. OMG I love the Larrabee estate! I would live there in a heartbeat! All the wood work is beautiful. That would be my dream home! I would choose the Larrabee estate. I really like the reflecting pond :). I’d love to win the Amazon gift card. Thanks. i wish you were giving away the mansion! I love both of those movies…it was one of the few remakes that I like…I did enjoy the house more with the remake with Harrison Ford more…Thank you for offering this. that’s a nice house and movie! What a fabulous house. I can’t imagine living in something like that. I haven’t seen the later version of Sabrina. I guess I always think the original is the best. Oh to live the life of a faiytale! If I could live in either house it would be a dream-Julia! Fun post and what great photos you shared-thank you!~Hope you are having an awesome week!~Smiles~Tam! This is one of the movies I have on VHS, ,but haven’t bought on DVD yet! Thank you! That is a nice house, never saw the movie . It sounds pretty good. I hate to say I’ve never seen Sabrina! Travesty, I know. I’m off to rent it this week…Boy, have I been missing out! Thanks for the great giveaway! Would love to win. What a beautiful house. Thanks for the great giveaway! 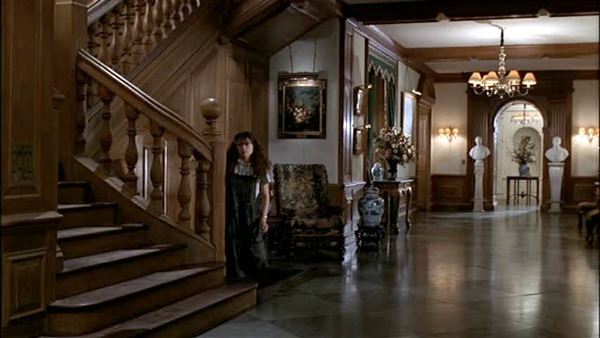 Now that I see the pictures, I remember the huge house from that movie! I’d love an Amazon GC! I love this movie! And I think I saw bits and pieces of the original. One can only dream of living in a house like that OMG!!! I would have to put a tracking device on my son! That was some house! I would love to win Sabrina. It is actually one of my husband’s favorite movies! Thank you for the awesome giveaway! Kelly B’s last blog post..Giveaways I Could Not Resist!!!! Hi Julia! What a gorgeous home, especially the kitchen and that view!!! Thanks for the fun giveaway, make sure to pop over to my blogs to enter mine, too! Bella Casa’s last blog post..Etsy Blog Party & Giveaways!!! Bella Casa’s last blog post..Giveaway: Valentine’s Day Cute Red Apron, Chocolate & More! I also have you in my blogroll!! I’m a facebook fan too. Whew… my fingers hurt! ha. Fantastic! Thank you for this giveaway! Thanks for sharing the photos. You’ve taken an interest in old houses to a whole new level by studying ones in films, and then sharing with everyone who reads your blog. Thank you. If I win I’d like the Amazon gift card so I can buy more books to feed my voracious reading appetite. What a great giveaway, loved looking at all the pictures! That pool is just WOW!! To dream of! Beautiful house! thanks for the giveaway! I LOVE Sabrina (but sadly don’t own the movie), please count me in! I really like both versions of this film. This house is lovely, and I wish I could have one like it someday. I don’t think I’d better tell my husband about your site. He is addicted to viewing houses and I may never see him again. Have always loved Sabrina and it was interesting to read about the houses. Thanks! That house is breathtaking! I would love to win the original version of Sabrina!! What an interesting blog you have here! I love these movies (both the old and the new). The still pictures are absolutely stunning. Gorgeous pictures! I would love to win the gift card! I would love to live in the Larabee Estate! What a house! If only…. Kookaburra’s last blog post..Parents Magazine…. FREE! I could only dream to have a house that beautiful. Gorgeous house! Thanks for the chance! These photos are awesome! Wow! Jingle’s last blog post..Design Team News, A New Technique Class and Bloggy Giveway Time!!! I have to admit. I have never seen the movie. I really love this movie and that little cottage above the garage…delightful. I want to make soup in that kitchen! A funny story…when ever I go to get my curl crazy hair cut I always think…”I wish she could cut it like Julia Ormond’s hair in ‘Sabrina’…Great post…as usual. This would be fabulous to win. thank you! Good movie, but I’d probably go with Amazon. I’m trying to build my 80’s music library!!! I’ve sent you a friend request on Facebook. And I’ve subscribed via google. Thanks! I love Sabrina! I actually like the new one better because of the attempted suicide in the first. I like small houses so I think I like the stone cottage best! Thanks! I love LOVE the reflecting pond. Sooo pretty, way too extravagant. Oh, thank you for reminding me of a wonderful movie (that I own on DVD!). I love the concept of someone taking the job of chauffeur so they could have more time to read–how absolutely wonderful!! Thanks for the giveaway. This looks like an interesting movie, but I’d love a chance to win an Amazon gift card. I actually like the stone cottage. One of my all time favorite movies! Thanks! That house is amazing! Thanks. Think I’d opt for the stone cottage over the garage as I just adore the reflecting pond, it’s absolutely beautiful – would love to walk across that every morning! I love this movie, and already own it, so I would choose the gc. I would love to win this, thanks! Katrina’s last blog post..It’s giveaway time! aHHH! What I would give for that reflecting pool… Thanks!! Love, Love, Love this movie. Both the new and the original. The Martha’s Vineyard house is so cute. Sabrina is one of my most favorite movies! the Melissa and Doug Pirate Adventure Jigsaw Puzzle 48 Pieces. I’d buy a house just like that if I could afford a maid. lol Thanks for the giveaway! I would choose the Martha’s Vineyard home..love the large windows with the water views! i love this movie! never spent any time noticing the house before. great blog! I love that movie! SO cool! I loved the original version of this movie…I’d love to see the remake! Oh, I love the movie Sabrina! It is one my favorites, so I actually already own it, but I love Amazon as well, so either way I am excited to enter your giveaway! Thanks so much! Wow on the pics! I have never saw that movie, but would be interested to watch just to see the house. 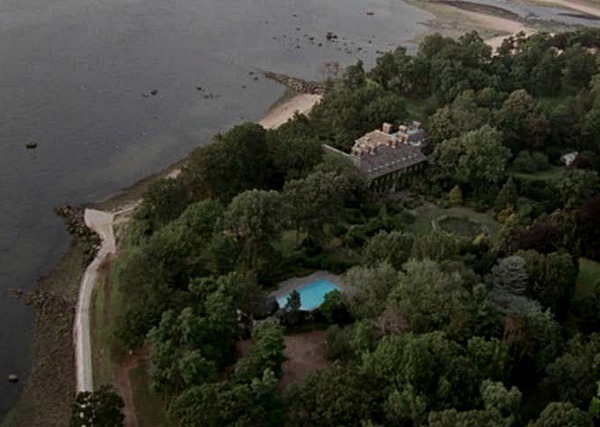 One of my favorite movies…loved the estate for sure but SO loved the Cape Cod cottage. 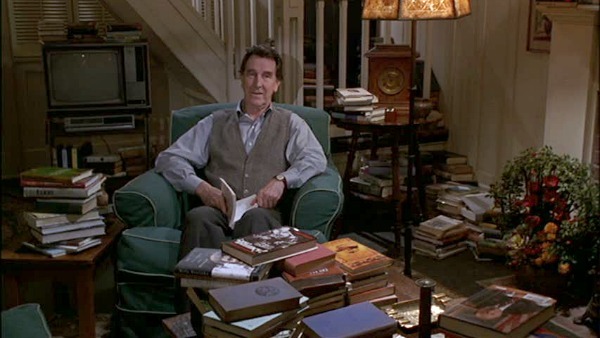 And I was always smitten with Sabrina’s room, as well as her father’s rooms in the estate. These posts are always so much fun. Thanks for the joy! Ok, I think you’ve just given me my dream home! I would love a copy of the movie and I’ve never seen it. I’m much more interested now after all those marvelous pictures. Thanks! Thanks for the giveaway! I would love to see this movie. juicebox mom’s last blog post..Early Christmas Gift for me! thanks, wow, can’t stop looking at that huge estate! Those pictures make me a little jealous; they are beautiful and overwhelming at the same time. I saw this a long time ago in the hteatre and i remember how beautiful everything was. I love this movie, Julia. In fact, as much as I liked the original version, I like this one even better. I LOVE that house. It’s absolutely gorgeous! I totally forgot about this movie! Great prize! It’s a GREAT movie which I love – and unfortunately do not own! Those pictures of the house are just incredible!!!!!!!!!!!!!!! I love the fact you also mentioned the original ‘Sabrina’. I remember watching that when I was a little girl. Having just joined Facebook, it was great to be able to add another friend to my list. I can’t believe I have never seen this movie! 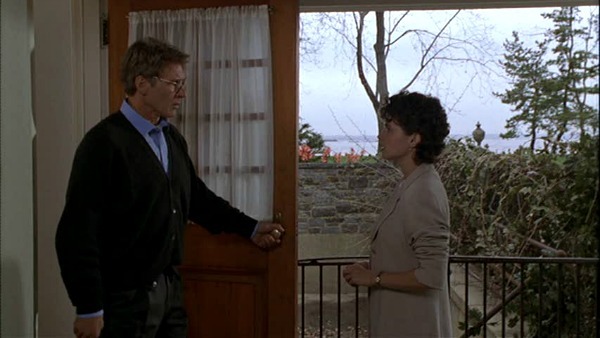 The house and the scenery are just beautiful, and of course Harrison Ford and Greg Kinnear are pretty nice looking as well! Thanks for the giveaway! Hi, me again, just realised I didn’t say which house I liked. Would have to be the summer house at Martha’s Vineyard. So crisp and sunny. Wow, what a give-a-way bonanza, Julia! I loved much in both movies. I think Bogart was too old for his role, but loved Audrey Hepburn. It’s too bad we can’t mix and match Hepburn w/Harrison Ford and Greg Kinnear (who I think is the REAL eye candy in this movie). I wonder where the house for the exteriors actually is. I am such a huge fan of this movie! I’m shocked I don’t own it yet! Maybe I will soon (fingers crossed! WOW the pictures of this house made me dream it was mine and how awesome that would be. Thanks for showing them. The movie would be nice to watch for the first time, never seen it before. Thanks. I loved the original Sabrina – haven’t seen the new one yet. And, oh my God, those photos! Drool. Thank you for the giveaway. I used to google earth and see the houses by the shore. cool giveaway and wow what a gorgeous estate!!! That estate is beyond beautiful. I’d love to live in the apartment above the garage!!!! I haven’t seen that movie in such a long time! I’d love to see it again. I loved both versions of this movie! Audrey Hepburn’s class echoes through the ages! i forgot about this movie! Beautiful pictures! Just watched Sabrina…when was it, this past weekend (can’t remember cr%p!). Thanks for the photos, it gives you a chance to savor each room — even pausing the DVR isn’t as good as seeing a closeup picture! HOH is a new subscription on my Google Reader (LOVE Google Reader!!!). That house is AMAZING! I love this movie! Thanks. 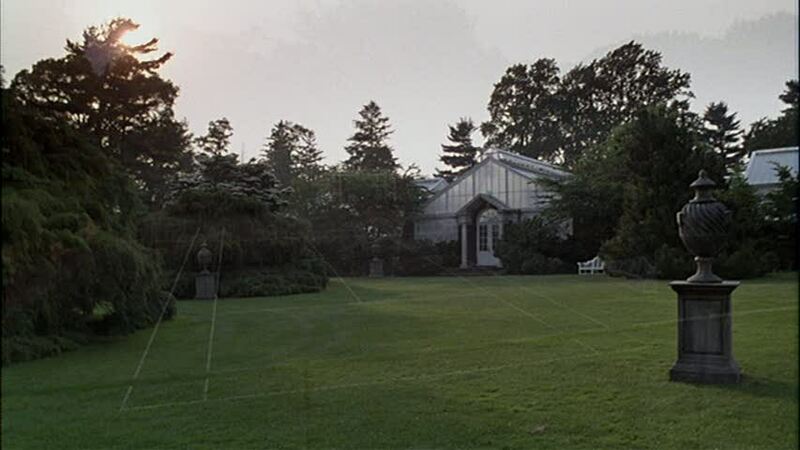 I love Long Island Estates, at least as much as I can remember from the 70’s when I was there. Beautiful! Man,what a house! I am not sure you can even call that a house. Estate maybe, but no way is it a house!!!! Gorgeous! Sabrina is a great movie! Thanks for the chance! I have never seen this movie, so I would love to win! I’m so glad I’m not the only person who falls in love with the houses in the movies. This one is beautiful. 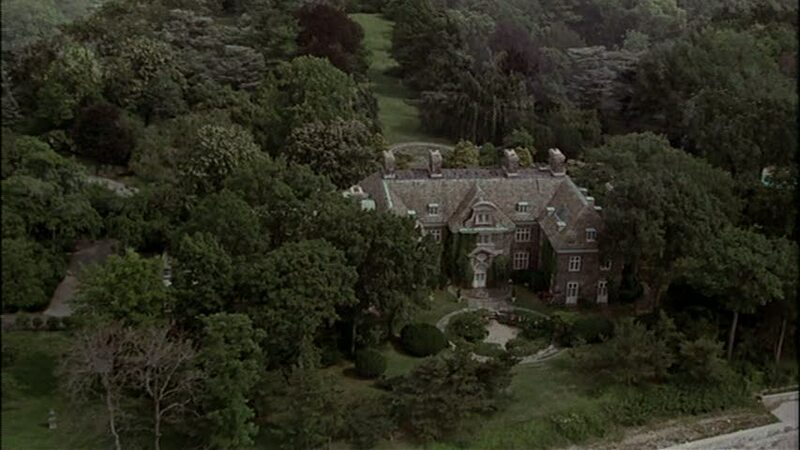 So far my obsessions are the house from the Home Alone, Funny Farm, I searched for the other cottage from The Holiday and found out it was set. Oddly enough, I haven’t seen either of the movies. Which is odd indeed, because i love Harrison Ford. Gorgeous photos!! I would love to win the Amazon gift cert. Great house…I don’t think I’d want to clean it though! LOL! This is great! I would like the Amazon GC. I wish that were my home! I’d live in the Stone Cottage I think. It’s perfect! Thanks for the giveaway. 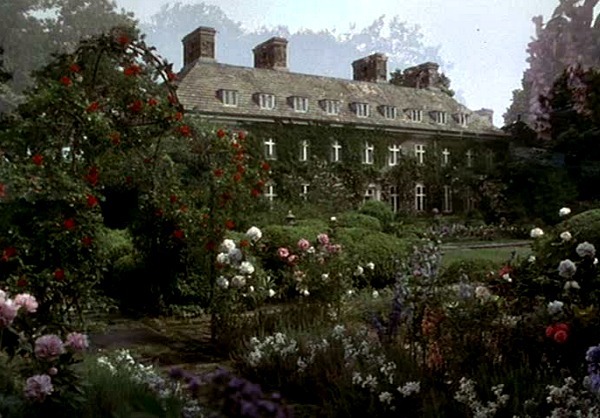 love that movie- what a beautiful house and location! what a beautiful house! could you imagine actually living there? I loved both versions of that movie! What beautiful pictures. Thanks for the giveaway! How gorgeous, thanks for the pictures!! I love the Maratha’s Vineyard House. Great pics. Kelly K’s last blog post..Just when you run out of hope. I never saw the remake of “Sabrina” (though I’m a big fan of the original), but seeing the stills from the film and the breathtaking home at which it was shot, I’ll definitely have to check it out. 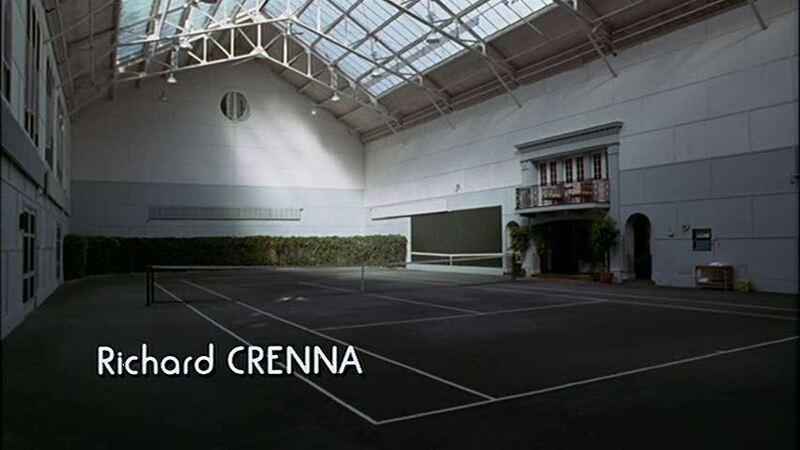 Being an avid tennis player, my favorite photo of course was the one of the indoor court — that would be a dream come true!! I’d live in the poolhouse… well at least that’s where I’d spend most of my time. 🙂 Thanks for the giveaway. Subscribed to your RSS feed in Google Reader – thanks! The two pool are so nice. I could live there. I love these pictures! And I love this movie! I think I would also take the Martha’s Vineyard house. So beautiful! Valerie’s last blog post..Happy Birthday to Me! kiy’s last blog post..Napping. Or Not. Am following on twitter username morphsrose. This movie looks awesome! That’s a great movie! And a beautiful house! I love this movie! Thanks for the great giveaway! P.S. I’ve got a giveaway on my blog as well, feel free to check it out! Angela’s last blog post..Burt’s Bees Giveaway! That house is beautiful! Thanks for the giveaway! I love that indoor pool! How chic! Mama Dawg’s last blog post..If The Saxons Can Do It, Why Can’t We? What a great movie! And a great house. I prefer the older version because of Audrey Hepburn. But, I do love Harrison Ford. I’m following your network blog on facebook. Following your blog on Facebook…Thanks! Woops! I forgot to add that although the Estate is PERFECTION…I would choose to live in the Martha’s Vineyard Cottage! 🙂 Nothing like a cottage by the sea! 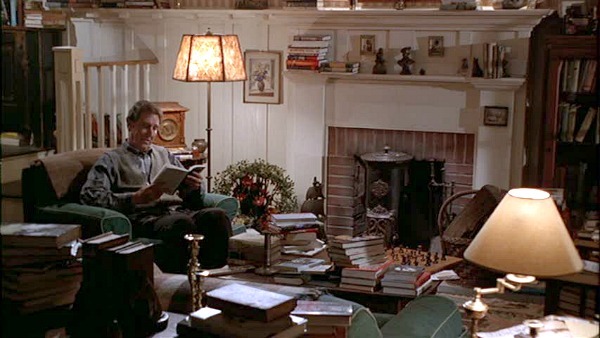 PS…Didn’t you just LOVE the house in the movie Evening?! Love the remake and the house. Wonder how many people it would take to keep it clean?? I love the house at Martha’s Vineyard because of the view. I love the ocean. I love the movie Sabrina. It’s one of my favorites! I’m sort of hooked on houses myself. Love your blog name. Thanks for the chance at the giveaway. My stumble ID is scrappylori. Thumbs up. I think I heard about this movie before, or it’s just its story that was repeated in so many other movies? This is interesting, that movie Sabrina with Audrey Hepburn was very good. 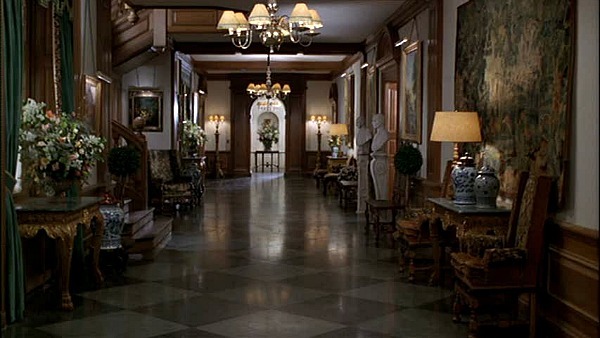 I must confess I love the estate as well as both versions of the movie. If I win I’d appreciate the Gift card as my kitchen needs a new facet. I’m a house lover as well. Just recently saw this for the first time! Definitely a classic. I would love to own Sabrina on DVD! Thanks! Great Pictures! If I win I would choose the Amazon Gift Card as I have grandkid birthdays coming up. I would love to swim in an indoor pool like that one. Really nice pictures.Thanks for the giveaway. I would choose the amazon giftcard since I already have the movies. WOW – I could definitely live in that house! I just friend-requested you on Facebook! Very interesting post! I must admit, I’ve never really paid attention to the houses in movies, but now you’ve got me intrigued. Thank you for the giveaway! I would love to win! Awesome pictures! Briana @ Bargain Briana’s last blog post..More Winners! Thanks for a great giveaway. I haven’t seen the movie in a long time. I would love to have a kitchen like that…especially if it had the servants in it preparing food! I would love the Movie or the gift card. Thanks! Those pictures are amazing. I haven’t seen the movie, but all of the houses are nice. I could live in any of them. Thanks. Loved the movie, loved the houses, and think it’s amazing that you captured all those stills to show us. I like your blog, the premise, cause I love houses. Thanks! I’d love to win a DVD. Another chance: I put you on google reader! 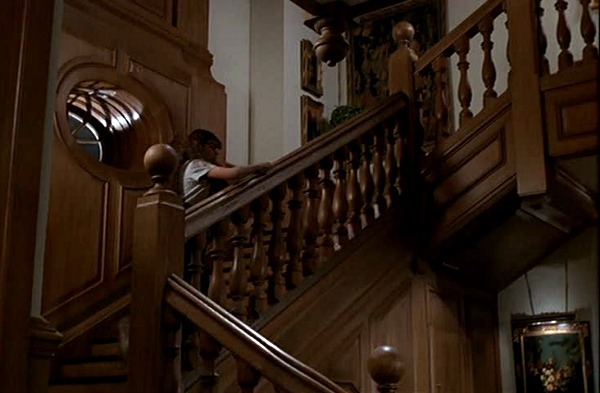 I love when you do the in the movies posts – such fun to see some stills of the great houses in movies I watch. I’m sure you’ve seen it, but there is a book that has floor plans of tv show houses – fictional even. It really is fun to browse through. haha i love those shellfish napkin holders!! DREAM HOUSE! Love your post of the still pic of the home. I’d forgotten how gorgeous the movies backdrop had been. Loved the movie photos! Wow I love this movie, but never really payed attaention to the house. I will now. Thanks for a great giveaway! I haven’t seen that movie in a long time and LOVE it! The house is so gorgeous! Thank you so much for the fantastic giveaway! I love this movie! great tour of the house! Amazing house! Thanks for the great giveaway! Wow! 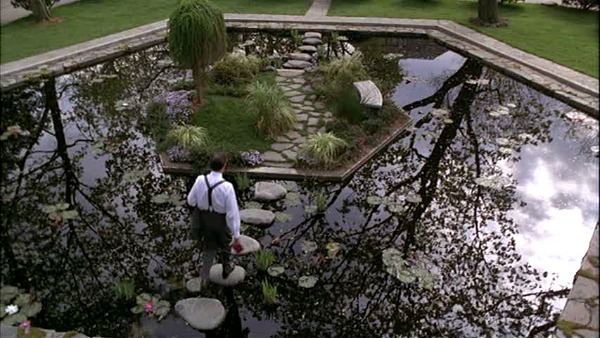 I especially love the pond with the stone steps, that is beauuutiful! thanks for the chance to win. i actually have not seen sabrina. That is one amazing house! I love the movie Sabrina! You know, I would love to live in the mansion… but as far as having something that I could manage taking care of alone, then Maratha’s vineyard for sure. I really liked that movie. How cool would it be to live in such a house! I would love to have an Amazon gift card! I’d love to win. Movies are my fave! 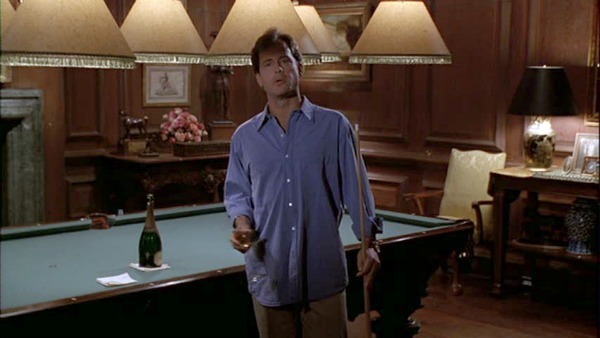 Did you notice Greg Kinnear looks pantless in the photo at the pool table? I had to get closer to the screen, then I was bummed (just teasing). 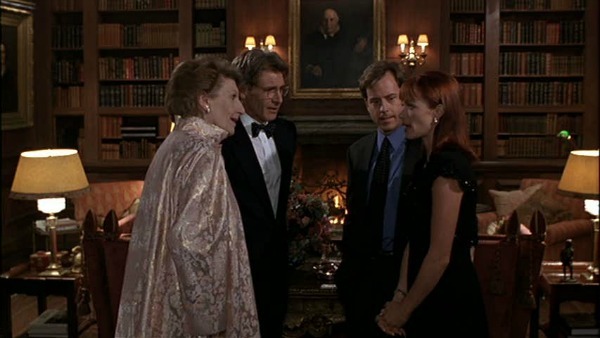 I have actually not seen Sabrina but I have enjoyed many Harrison Ford & Greg Kinnear movies in the past. One could only dream of living in one of the homes/mansion you shared with us. I have travel a lot of the United States but have never made it to the upper east, it is a dream of mine someday to get there. Thank you for letting us peek and for the giveaway, may you have a picture perfect day Hooked on Houses. I’d love to win this giveaway! Sabrina is a great movie. I am so hooked on houses I started a B & B and now have 4 of them. I am always looking for new ways to decorate them! I love the Martha Vineyards house. My daughter lived and worked their for a summer while she went to culinary school in the east. You have a very interesting site and I will be posting it on my blog. (at least I will ask my daughter to it is on her blog…mysuzyhomemaker.com) It was amazing seeing the stills of the picture..thank you for the look! Looks like a neat movie. How I loved this movie…both old and new! Glad I found this blog! Love it, I’ll be back. Whatever happened to Julia Ormond anyway? We never see her anymore. Subscribed to your RSS Feed! Love this site. Alpaca Farmgirl’s last blog post..Pronking! Oh that kitchen is to die for 🙂 Thanks for the beautiful photos! We loved that movie. I love classy houses like this. My wife and I visit The FDR house at Campobello every time we head downeast. This movie would be great as an addition to the library collection where i work. A fairy tale palace, indeed. I’d take the Amazon card please. Thanks for the contest. This film I love because its relates to my life. I love the music and the film so much. The house pictured here is called Salutations and it was owned by Junius Spencer Morgan, the son of JP Morgan. It’s on East Island in Glen Cove. 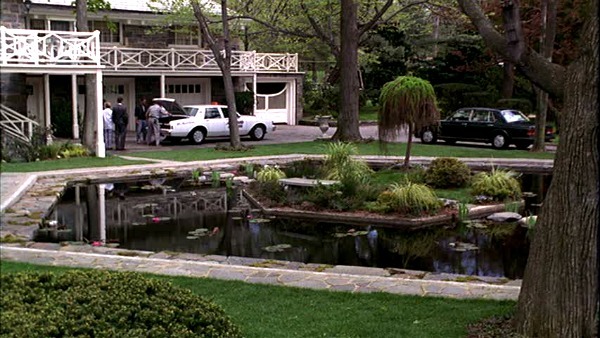 I’m trying to find which house in Glen Cove was used for the original Sabrina, the one with Audrey Hepburn. Any advice? 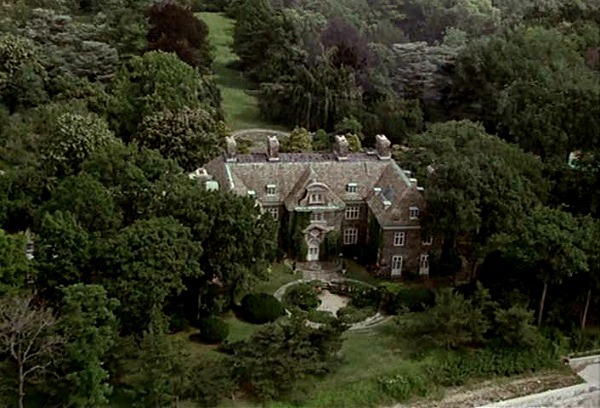 This is one of the most beautiful mansions I’ve seen in movies. What a great pix gallery! Where is that mansion exactly? I mean the address? Can we visit? is it inhabited? Is it in GLen Cove, NY? Is it the Salutation Mansion/House? 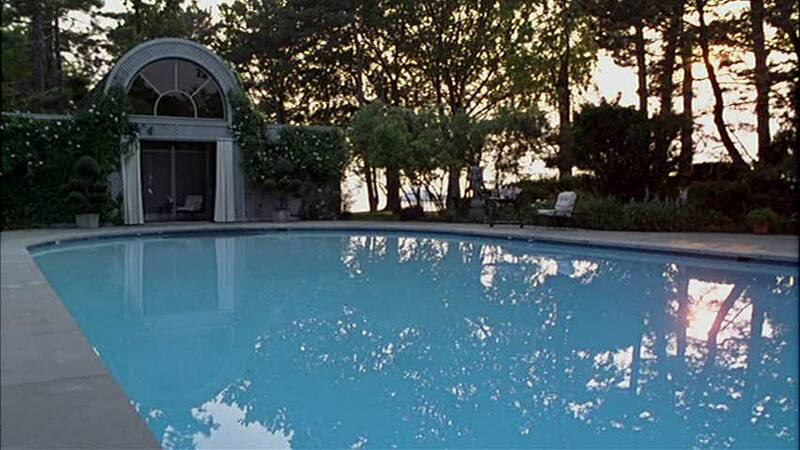 I think these photos of the Larrabee’s mansion must have been filmed in several mansions. I just watched the movie again, for the 5th time, I think. Great location, great movie, great story. .-= Emrick´s last blog ..How to be Happy: Raise Your Energy =-. This has become one of my favorites! I own the soundtrack and LOVE the music, it reaks of class and elegance, just like the film and matches the lifestyle we’d all love to live. Your blog is one of my absolute favorites….I can get lost so easily I have to pace myself. I was wondering if you had any pictures from the Larabees outdoor annual party, or the one from Maude’s birthday, or where I could find some. You are amazing, and I know you are very busy. This is a shot in the dark question. Enjoy your day….and I will enjoy Hooked on Houses.